Continuing on the three wheeled theme, I stumbled across this motorcycle in Battery Park City over the weekend. 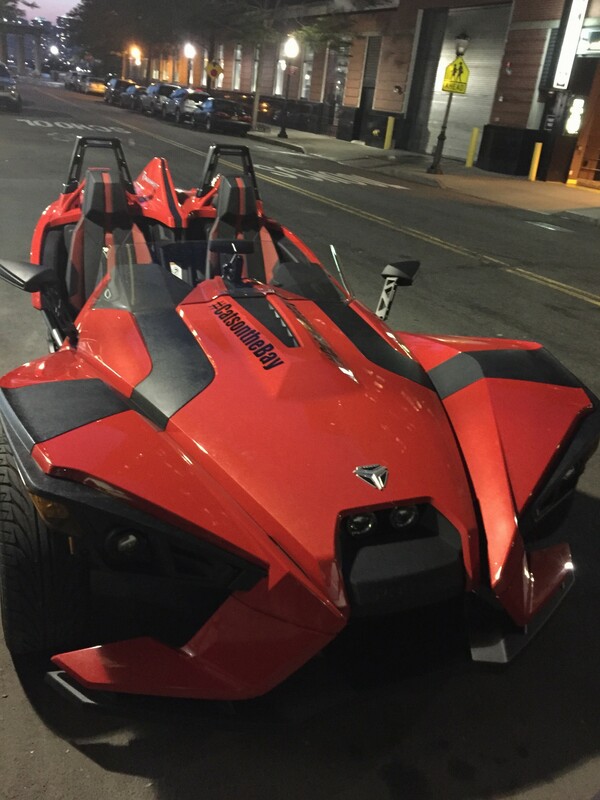 The Slingshot also puts two wheels up front, with one in the back. Why would you design a car with only three wheels? To avoid safety and emissions standards of course! 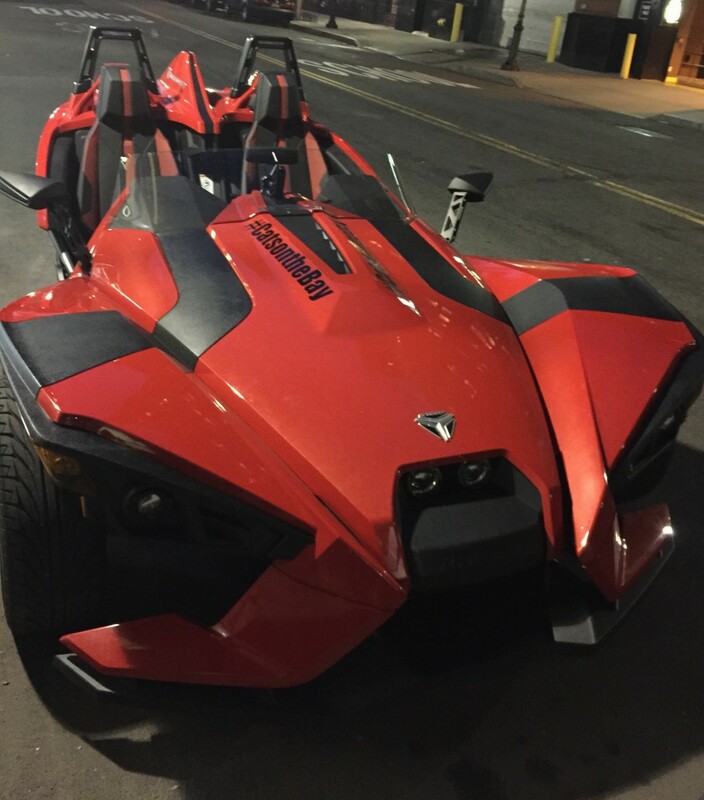 The Slingshot is being produced by snowmobile manufacturer Polaris – and you can pick one up for only $22K …. airbags not included. They have a number of videos pointing out how much fun it is. I wonder if they consider riding in an ambulance fun? This entry was posted in Not quite a car, What could possibly go wrong? on July 13, 2015 by Gary.